FatWallet – FatWallet does not currently offer a sign up bonus, but it more than makes up for that in the generous percentages of cash back it offers. You can request a payment via check or PayPal once your account reaches $10. Mr.Rebates– Mr.Rebates offers a $5 registration bonus just for signing up, and you can request a payment via check or PayPal once you reach $10. BeFrugal– BeFrugal offers a $10 sign up bonus, and you can request payment by check, PayPal or gift card once you have reached $25 in your account. Ebates– Ebates offers a $10 sign-up bonus. Payments are automatically sent out, via check or PayPal, quarterly if you have earned over $5. If your account has earned under $5 that money is rolled over to the next quarter. Top CashBack – Top Cashback offers a $10 sign-up bonus and payment can be requested, with no minimum via check or PayPal. **Bonus Site** Discover Deals– Discover offers my ultimate favorite cash back program. The catch is that you have to have a Discover card to join. Discover Cardholders can earn some serious cash back by shopping through Discover Deals. If you become a Discover cardmember you can get a $50 Cashback Bonus with your first purchase within three months, and earn rewards on every purchase after that. Sign up as a Discover cardholder here. Cash back is money earned by making qualifying online purchases from participating retailers through a cash back website. Basically, it's getting paid to shop online. The more you spend, the more cash back you receive. With cash back being offered from 1000s of online retailers, you can get cash back on virtually any online shopping these days… from WalMart, Macy's, Target and Kmart to Amazon and eBay to Home Depot and Lowes. 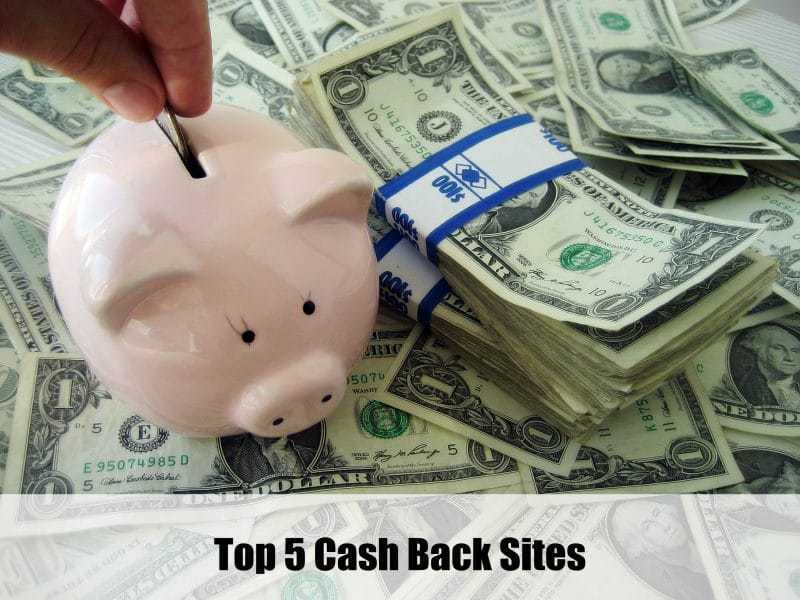 Instead of going directly to the online retailer you will be shopping at, visit the cash back site first then click their link to your chosen retailer's website. By completing this very simple extra step, your purchase will be tracked by the cash back site and you will end up receiving cash back. If you are like me and want to maximize your cash back I recommend signing up for ALL the cash back sites listed above because there is not one clear winner. Each site beats out the rest when it comes to certain retailers. So sign up with them all, and bookmark all the sites. When you are ready to shop at a particular online retailer, check the cash back percentages offered at each cash back site and shop through the one which offers the most cash back. This way you will end up getting the most money back! I have cash back adding up in each of these sites, just waiting for me to cash it out! As you can see, this cash back can add up to some serious cash! This was really informative!! Thanks for spreading the information! looks like you missed pandcashback.com. PandaCashBackoffers $10 sign up Bonus + $20 refer a friend. Thanks for the tips! I have a discover card, but always cash out as soon as I can. Your cash back rewards are impressive! Thanks for the great post! These websites sound awesome. Helpful and informative thanks for sharing. wow, nice. i’ll need to try this! 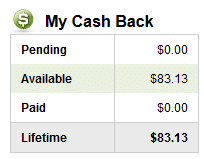 Thanks for the tips and the sites that offer cash back for signing up and give Top Cashback offers ! Tis is all very helpful information. Really useful info! Thanks for the article. Thanks for spreading the information!